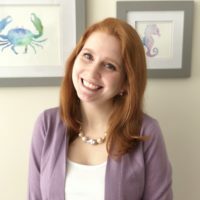 With the promise of warmer temperatures around the corner, it was time for my boyfriend, Brian, to get another Stitch Fix box, with the hopes of getting some Spring attire. For his latest Fix, he simply requested a Spring wardrobe, hoping to get a variety of pieces that would help with the transition from Winter to Spring. The first shirt out of the box was from Descendant of Thieves. Kristin, Brian’s stylist suggested this would be a good option for a BBQ, especially paired with Sperrys. That last bit made me laugh, because Brian is not exactly “preppy” or into boat shoes. Brian: I’ll be blunt – this shirt was made of rainbow coloured toilet paper. I really liked my last Descendant of Thieves shirt (check out our post here), but this one missed the mark, mainly in terms of comfort and fabric. I couldn’t take myself seriously wearing a shirt that had more ripples than a roll of Cottenelle. Continue to the next item to see a combined picture of Brian’s first two items. The name of these shorts is funny, “slub.” I keep thinking “slob.” Brian’s stylist suggests wearing these bad boys out for a round of golf with the boys. I’m not sure he’ll be doing that activity anytime soon. 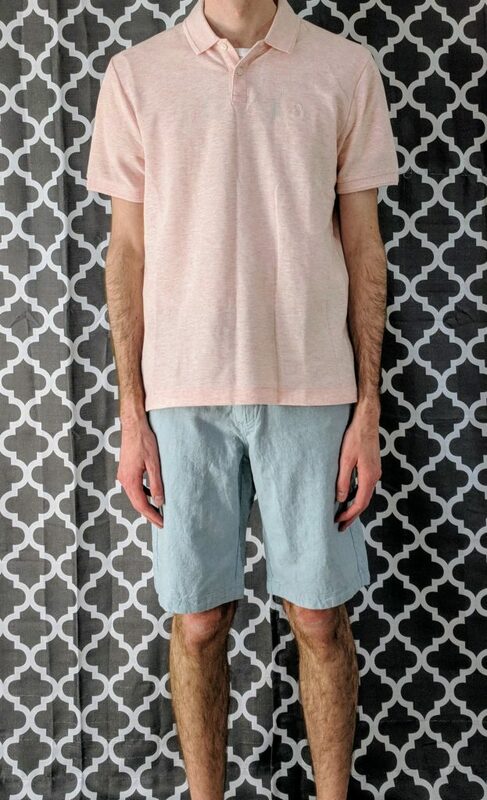 I really like the light blue color of the shorts, which I think would be perfect for wearing on a cruise or going to the beach, but it takes a confident man to rock a pastel. Brian: Clearly I am not a sufficiently confident man – I don’t wear pastel colored trousers. Shirts, sure (except for salmon), but I get my pants and shorts dirty so light bottoms don’t last very long in my wardrobe. These might be great for a round of golf as the stylist indicates, but I don’t play golf with “the boys”. Spring has sprung, and so have the pastels. Next out of the box was another pastel, but this top for on top. I think Brian looks good in pinks, but I know it’s hard to get him to commit to actually wearing colors besides white, blue, and grey. But, let’s see what exciting commentary he has to share this time around. Brian: Ah yes, the classic salmon colored polo. This is an item that everyone thinks a man should have in their closet, but not every man can actually pull off. Personally, pink accentuates my rosacea so it was a pass. Nice style and fit, just not the right colour for me. With the combined pastel pants and top, Brian’s ready for a baby shower or gender reveal, hahaha. No, don’t get any ideas. When I spotted this next polo, I thought there was hope that Brian would find something in the box he’d like. It seemed like a classic “Brian” polo, all navy and and neutral. But, maybe I was wrong? Brian: I was on the fence with this polo. I’m a sucker for navy blue polos (with at least 4 of them in my closet), but this one felt a tad too tight in the shoulders and armpits. I always wear an undershirt, and this shirt was a bit too snug to have another layer underneath. I considered sizing up, but with a plethora of navy polos already, it didn’t feel worth it. 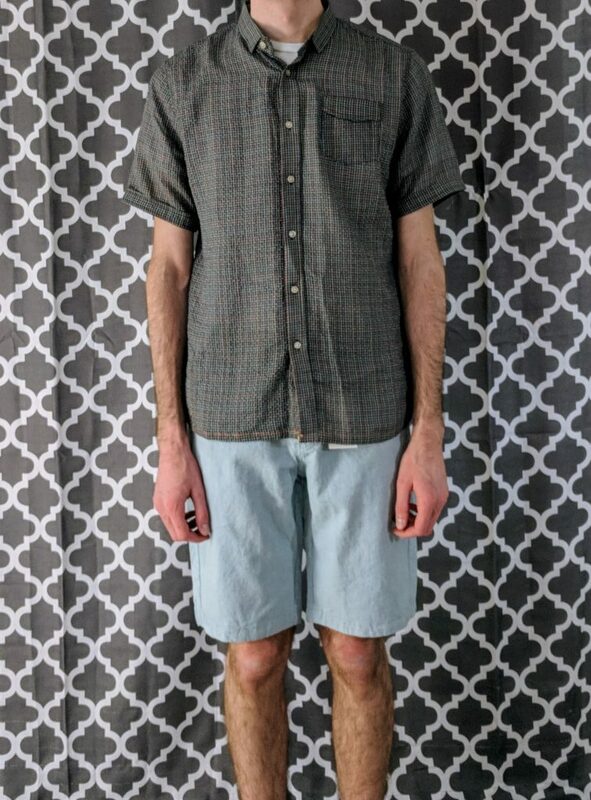 We paired this top with Brian’s last Fix item, another pair of shorts from Flag & Anthem, see below. We finish this Fix with one last pair of Flag & Anthem shorts, this time a different cut/design and a neutral/friendly color for Brian’s particular wardrobe. 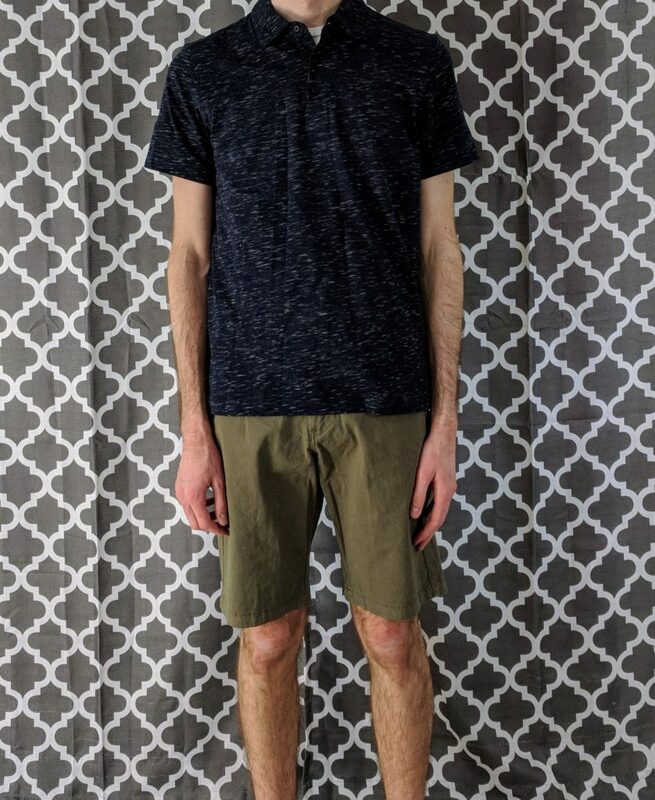 Brian: These shorts were the saving grace of the fix, finally, something I could keep and not waste my entire styling fee. There wasn’t anything special about these shorts, but they were a nice color and fit well for me to work into my summer wardrobe. Brian’s Final Thoughts: I should have clarified that my Spring activities don’t include rounds of golf, going to the beach, or BBQs with friends. It generally felt like this fix was designed for someone living on the west coast, where Spring is a whole lot closer to summer than it is here in the east. I just ordered another fix today and tried to be a bit more descriptive about what I was looking for in hopes that I’ll keep more than 1 item. Until next time, happy fixing!